Kendall Cedric Gill was born on the 25th May 1968, in Chicago, Illinois, USA, and is probably best recognized for being a retired professional basketball player, in the positions of small forward and shooting guard in the National Basketball Association (NBA) for such teams as the Charlotte Hornets, Miami Heat, Chicago Bulls, etc. His professional playing career was active from 1990 to 2005. He currently works as a television basketball analyst. So, have you ever wondered how rich Kendall Gill is, as of late 2016? According to authoritative sources, it has been estimated that the total size of Gill’s net worth is over $18 million, an amount which has been accumulated not only through his career as a professional NBA player, but also through his subsequent career as a television basketball analyst. Kendall Gill spent his childhood in his hometown, and matriculated from Rich Central High School in Olympia Fields, Illinois in 1986. While there, he distinguished himself as a basketball player, as he led the team to the IHSA class AA state boys basketball tournament, finishing in 2nd place, and he was named to the six-player All-Tournament team. He then enrolled at the University of Illinois, where he joined the Fighting Illini college team. In his freshman year, he led the team to the 1989 Final Four, and in his senior year was named a first-team All-American (UPI). Thanks to his accomplishments there, he was also named to the “Illini Men’s Basketball All-Century Team” in 2004. 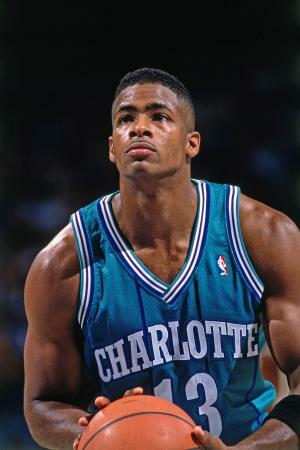 Gill’s professional playing career began when he was selected in the 1990 NBA Draft as the 5th overall pick by the Charlotte Hornets, so he signed a rookie contract, which marked the beginning of his net worth. In his first season, Gill was named First Team All-Rookie, and during his three seasons at the Hornets, he averaged around 20 points per game. In 1993, he was traded to the Seattle SuperSonics, where he stayed only two seasons, after which he returned to the Hornets, playing with the team for one season. The 1996-1997 season Gill began as a member of the New Jersey Nets, and where his net worth increased a lot, as he stayed with the team until 2001. One of the best seasons in his career was the first with the Nets, as he averaged 21.8 points per game; in 1999, Gill secured 11 steals in the game against the Miami Heat, setting a single-game record. Two years later, Gill became regarded as a journeyman, as he changed between several teams in five years. He played the 2001-2002 season with the Miami Heat, the next season he was a member of the Minnesota Timberwolves, after which he was traded to the Chicago Bulls, and then spent the season 2004-2005 with the Milwaukee Bucks, all of which added a considerable amount to his net worth. He finished his professional playing career with 12,914 points, 4,002 rebounds, and 1,519 steals in 966 regular season games. Following his retirement, Gill stayed in the sports industry as a boxer, entering the professional ranks. However, he soon began to work as a television basketball analyst for the Chicago Bulls’ broadcasts on Comcast SportsNet Chicago. He was also hired by NBA and CSN, which contributed significantly to his net worth. When it comes to speak about his personal life, Kendall Gill has been married to Wendy since 2006, with whom he has two sons. His residence is still in Chicago, Illinois. In his spare time, Gill is very active across many of the most popular social media platforms, including Twitter and Instagram. 1 Ranks 38th on NBA All-Time Steals List (1,519). 2 Led NBA in Steals (134) and Steals per Game (2.7) in 1998-1999 season. 3 Played in all 82 games of 1990-1991 season and all 50 games of 1998-1999 season. 4 Named to 1991 NBA All-Rookie First Team. 5 Member of 1993-1994 NBA Pacific Division Champion Seattle Supersonics team. 6 Guard for the Charlotte Hornets (1990-1993 and 1995-1996), Seattle Supersonics (1993-1995), New Jersey Nets (1996-2001), Miami Heat (2001-2002), Minnesota Timberwolves (2002-2003), Chicago Bulls (2003-2004) and Milwaukee Bucks (2004-2005).